Background: Due to political unrest in Burundi high numbers of refugees escaping into neighbouring countries of DRC, Uganda, Rwanda & Tanzania. The current Burundian refugee population in Tanzania is over 172,000 of which over 50% are children. SCI is implementing a child protection and education programme in refugee camps and wishes to scale up the response in refugee camps. • The Child protection psychologist will assist the Child Protection Programme Coordinator in the overall management of in the field offices and refugee camps and the immediate host communities. • Support the development and implementation of a programme of training and capacity building for Child Protection Community workers (CPCWs) and CPOs, ensuring that training needs are proactively assessed and built within ongoing design. • Document programme learning, ensuring it contributes to organisational advocacy. • Participate in the development of emergency strategies for the wider child protection programme in Kenya. • Comply with all relevant Save the Children policies and procedures with respect to child protection, health and safety, equal opportunities and other relevant policies. • Conduct/ensure regular follow-up visits to monitor the rehabilitation and reintegration of clients, and document changes identified. • Conduct community sensitization campaigns on services available at the Child Friendly spaces and the general refugee operations. • Maintain an up to date database on counselling clients. • Ensure timely implementation of budgeted activities in addition to budget tracking and control. • Ensure strong links with the overall child protection work that SC is undertaking in the refugee camps. • Knowledge of community based child protection approaches, preferably including experience in participatory approaches (PRA/PLA) and child participation methodologies. 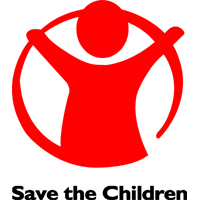 • Commitment to Save the Children’s Child Protection Policy. • Has high-level communication skills’, including engaging and informative formal public speaking. • Able to work effectively in a multi-cultural environment. • Sets high standards for quality and consistently achieves project goals. • Negotiates effectively by exploring a range of possibilities. • Demonstrates and shares detailed technical knowledge and expertise. • Proven ability to work as a team.